My relationship with money began when I overheard one of my older cousins say that money has a smell and spirit – and both can possess a man to do unspeakable acts. That the pungent, sweaty smell of money was like an adrenaline shot to the brain and the spirit like demons. Both smell and spirit combined will push a man to do things; good or bad things, depending on his true nature. Money, to my ten-year-old mind, acquired a huge persona – one that is loved and feared at the same time. I’m in Ikoyi and I’m not sure whether to breathe deeply or not. It is not that Ikoyi has the pungent, stomach-turning odour of old money. Far from it. Ikoyi has a presence that says, “I am not your mate.” This place bears a discomforting personality that makes one question the choices of their forebears: just why didn’t they work hard enough to become a member of Lagos’ “old money” – that class of people way above social stratification whose family line can be traced to influential men and women that played a critical role in the history of Nigeria. “The rich want to constantly be among the rich. People only go to people’s houses if they’re invited,” a source tells me. Although he insists that I keep him anonymous, he makes mention of the pressured nature of Ikoyi society. In Ikoyi, he tells me, you will find a group of young people called the ‘Internationals’ – they are not necessarily good friends but are instead held together by the fact that they all attended prestigious schools abroad and they are children born with Lagos’ old money, with a strong family name. “Internationals are wealthy children that schooled abroad, who know themselves and usually hang out together,” my source tells me. It isn’t all schools abroad that qualifies a person to become an International. In addition to attending high-powered schools that are beyond the shores of Nigeria, Internationals come from deep-pocket families and often have forebears who played critical roles in the development of different sectors of Nigeria – especially government. “So, the question is either which school did you go or who are your parents,” he adds, noting that a wrong answer often leads to possible alienation or avoidance. It is raining again so I find shelter in a house on Eche’s street, Dolphin estate. 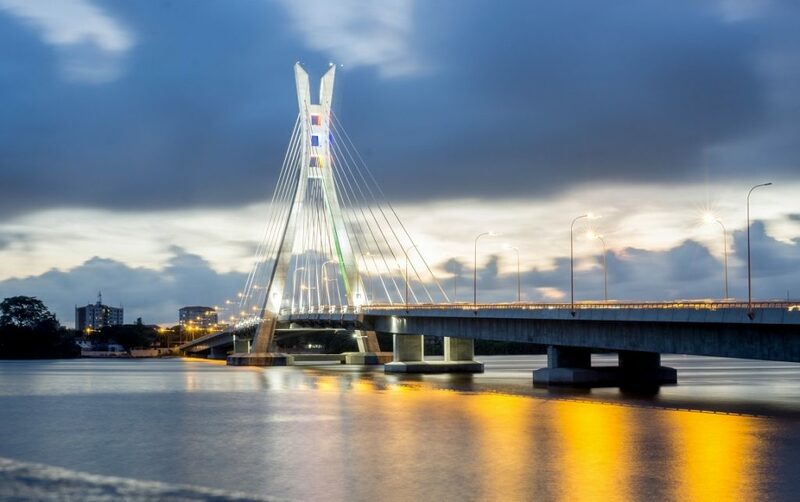 Lagos Island, through Obalende, seamlessly blends into Ikoyi, so at the beginning, there is little distinction between the crowdedness of Obalende and the famed upper class of Ikoyi. The streets of Dolphin, in reflection of the two different worlds within the estate, are named in a peculiar way: the upscale parts are given names of actual places in Lagos that are relatively upscale while the streets, occupied by rows of identical low-cost apartment buildings with middle to low-income residents, are named after rougher areas of Lagos. These apartment buildings are elevated on what appears to be wooden stakes – much like the way waterfront homes are held above ground with stakes, as if a space was made for water or something else to move through. As you move towards the tail end of this part of Dolphin estate one is forced to board a vehicle or waddle through the flood of water. These part of Dolphin, I learnt, was built to accommodate people displaced when Ijeh, an old debilitating part of Ikoyi, deemed an eyesore to the bourgeois eyes of the residents, was demolished in the 1990s. In the upscale part of Dolphin, you’ll find that most of the one-story duplex buildings here are identical too. They bear markings of homes built late last century. And so, it is a question of whether Dolphin, on its own, is worth the hype or if the price of properties here is influenced by newer, more polished estates – like Osborne, Abacha estates – surrounding Dolphin. There is a danger in focusing only on the much touted, if not overused, Lagosian stereotype about Ikoyi and money. In that, it perpetuates a certain belief that removes certain people, who live within Ikoyi, beyond the reach of Ikoyi. Still, it is a needed and very truthful assertion that Ikoyi is home to most of Lagos’ super-rich who trace their ancestry to influence and more money. To support this is the fact that if you Google ‘Ikoyi’ you’ll see ‘Ikoyi money’ as a pop-up suggestion. A veritable proof that a lot of people are Googling Ikoyi and suffixing it with money. The recent discovery of a huge amount of money in a building at Osborne Road adds to the widespread belief of Ikoyi and money. If Ikoyi is where money goes to sleep, then Victoria Island is where money comes to work. There is nothing personable about Victoria Island. Don’t get me wrong, the face is very pleasant and attractive enough but one knows, without being told, that it is not home. This land area is a more apt location for a business establishment rather than a home – and Victoria Island plays host to several highbrow businesses and major contemporary art centres. 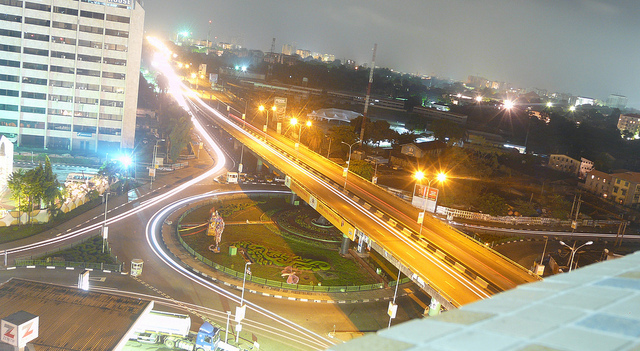 Victoria Island wasn’t always this fine place dotted with high-rise buildings bustling with c-suit types, expensive hotels and restaurants running into each other, car parks filled with shiny vehicles displaying the best of Nigeria. Instead, Victoria Island was once owned by the Oniru royal family and the lands were home to millions of low-income dwellers who were booted out of the land area, their homes bulldozed and, probably, razed to the ground in 1948. These displaced inhabitants were moved to Maroko, now part of Oniru extension and Lekki Peninsula. Before the construction works rendered Victoria Island to one of the fanciest places in Lagos, the area was a true island bounded by the Atlantic Ocean, the Lagos Lagoon, a swamp and the Five Cowrie Creek. Successive Lagos governments since the colonial times have consistently carried out construction and demolition activities that have connected Victoria Island to other parts of the Island – essentially making a joke to the word ‘Island’ in Victoria Island. Prominent amongst all the hospitality centres in Victoria Island is the Eko Hotels and Suites. 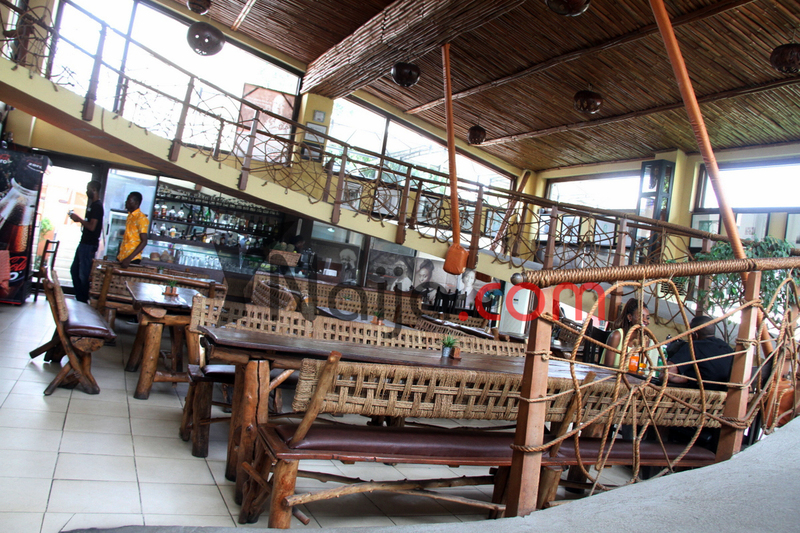 It sits pretty on Adetokunbo Ademola street, taking up much of the rather brief road. There is a small garden at the Eko Hotel roundabout. This garden is ironically named – Serenity Park, as if the builder of the garden had a false sense of humour. There is nothing serene about this garden or the Eko hotel roundabout: it is busy, noisy and a lot is happening at the same time. Down towards the road is the office of South Energyx Nigeria Ltd, a construction company handling the Eko Atlantic City – a city that is expected to have over 250,000 residents. This project has caused a lot of faceoff between the state government and citizens of Lagos. Some have stated that the project is largely responsible for the flooding cases in Victoria Island. Others have accused the state government of human rights violation over the forceful eviction of – mostly, low income – people living at the waterfront settlement – then known as Bar Beach. When the rain comes, it stays, refusing to find its way away from properties in parts of Victoria Island as it floods the land area, destroying properties and, sometimes, taking lives. Fingers will be pointed, memes and jokes made at the expense of a tragedy. But still it doesn’t eliminate or reduce its impact. “Yes,” says Madam Abigail, the ongoing construction work on former Bar Beach is to be blamed for the terrible flooding experienced in Victoria Island. On the 15th of August 2008, Madam Abigail was among the thousands of residents that were forcefully removed from Bar Beach by the state government having received an eviction notice barely 24 hours earlier. “So many people lost their properties. Some drowned in the water. Some people managed to run away. All our properties got burnt. Nobody can rescue anything because the fire was too much because the place is plank – the houses there were built with wooden planks,” Madam Abigail recalls. Since the 1940s, Victoria Island has witnessed several mass evictions and demolishment – all with the intent of reconstructing the area into a district suitable enough for the rich and boost tourism within Lagos. To be fair, this might be working if we consider the amount of money that exchange hands within this area and the daily construction works happening too. But does it have any consequence especially on the environment and on the psyche of the urban poor bullied and evicted from their homes? On the third Friday of the month is the Afropolitan vibes – a music concert that brings out the arts and culture crowd in Lagos. They gather at the Muri Okunola Park, Victoria Island, listening to Bantu and his live band perform. A mainstream artist is also invited to perform, firing up the excitable crowd. In addition to Victoria Island’s business and hospitality services are the art scenes and gatherings that are splashed within its environs. These places serve the need of an emerging class of Afropolitans – young, urban-dwelling Africans who appreciate the arts and are well aware of pop culture. Through art spots, like Terra Kulture (which by the way serves killer Ofada rice and palm wine), the arts are witnessing a renaissance, attracting a new crowd of enthusiasts who are not just interested in the aesthetics but in the context, energy and message embodied in each work of art.